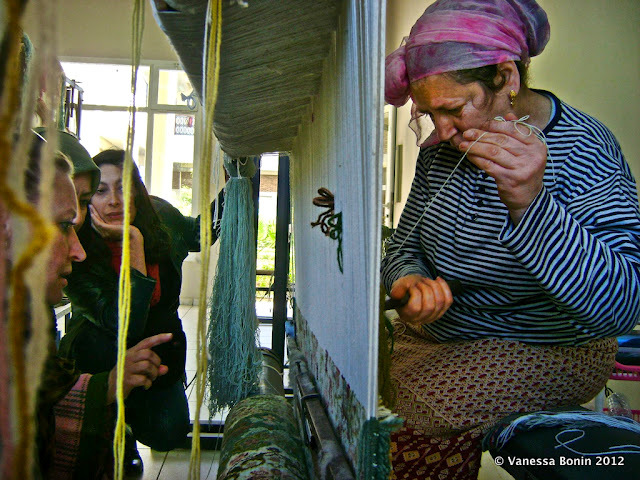 Want to assist the women artisans of the Fez Medina? An opportunity is available to make a real difference to the lives of local women and expand the range of craft products available. The Moroccan Government and the Millenium Challenge Corporation are inviting tenders from suitably qualified people who can facilitate and enhance women's integration into the craft sector in the Fez Medina and help get their products to market. The project recognises that the inequalities between men and women are significant barriers to economic growth and poverty reduction. The aim is to improve the quality of products, develop new products based on the skills of female artisans and teach them new skills to enhance not only the products but the lives of the women involved. Applications close on October 15. For further details (in French), CLICK HERE. Sad news from Syria on Saturday. 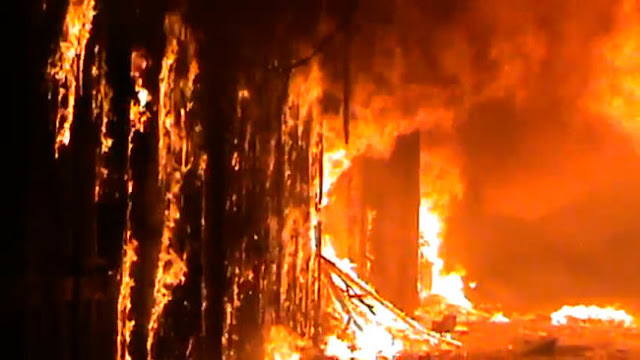 A fire has swept through the old central souk (marketplace), of Aleppo, damaging the World Heritage area with its well-preserved labyrinth of medieval storehouses, shops, schools and ornate courtyards. One video shot by antigovernment activists showed a curtain of dark smoke hanging over the center of Aleppo near the old city, a Unesco World Heritage site. 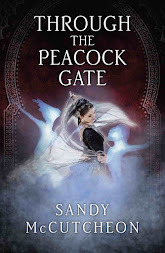 Another showed intense, crackling orange flames engulfing heavy wooden doors in what appeared to be one of the market’s arched stone passageways. The activists said they believed that the fire, whose origins were unclear, had destroyed a large portion of the market’s shops overnight, though the claim could not be immediately verified. For many residents, the old city, with the souk at its center, is the soul of Aleppo, one of the world’s oldest continuously inhabited cities and Syria’s largest. Aleppo has been staggering for months under a bloody battle that has reduced some residential areas to rubble, and with no deaths immediately reported from the blaze, the damage to the souk pales compared with the recent human toll. 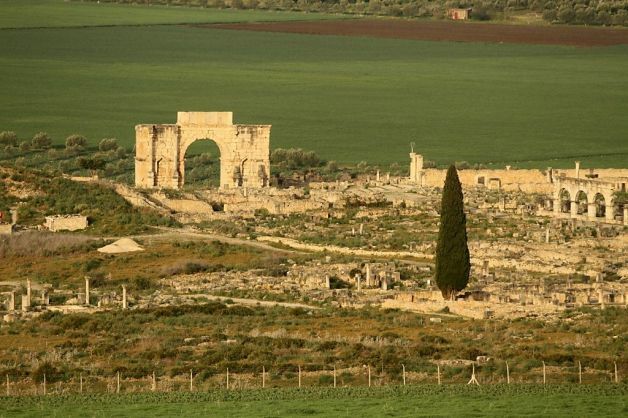 Yet serious damage to an area that Syrians widely consider one of their greatest treasures is likely to stir anger at both sides — each of which blames the other for the destruction in the city — in a conflict that seems mired in stalemate. It could also make the rebels’ latest push in Aleppo backfire politically: Some opponents of President Bashar al-Assad were already incensed on Saturday at insurgents they said had operated conspicuously near the old city. A "timely" reminder that daylight saving ends on Sunday (30th) at 3 am. To mark the event we have organised a pleasant sunny day with a high of around 23 degrees Celsius - enjoy! Heure. Retour à l'heure légale (GMT) dimanche prochain. Le Ministère de la fonction publique et de la modernisation de l'administration a annoncé que le retour à l'heure légale (GMT) se fera à partir de dimanche 30 septembre 2012 à 3h00. Les Marocains retarderont leur montre d'une heure à partir de dimanche, en vertu du décret N.2-12-126 du 18 avril 2012 (26 Joumada I-er 1433). 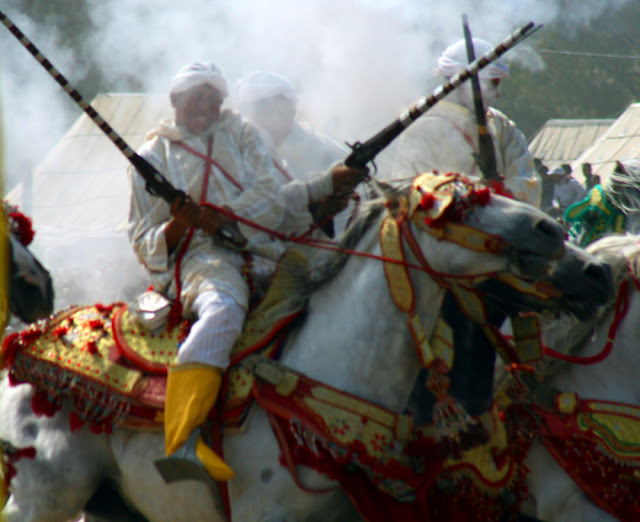 The French Institute is working overtime presenting cultural events in Fez. Tomorrow they are holding a concert by the group Mazij as part of the France-Morocco Cultural Season 2012. 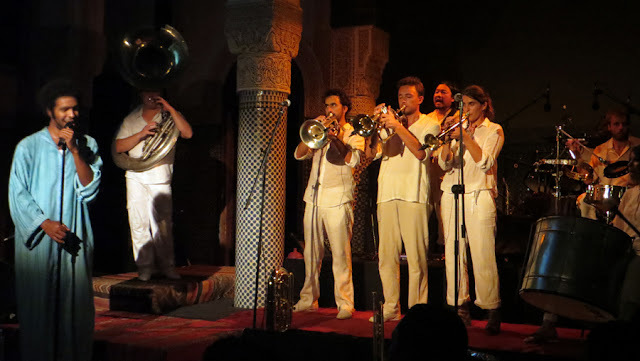 The group MAZIJ which means "mixture" in classical Arabic is composed of four major Moroccan interpreters: Maloumi Driss El Said El Maloumi, Karima El Maloumi and Houcine Baquir and a French musician Thierry Roques. 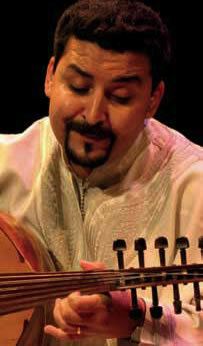 On the Moroccan side, Driss El Maloumi, virtuoso, is considered one of the best oud players of his generation. Musical and literary culture, combined with a rare instrumental mastery allows him to tackle different musical styles. 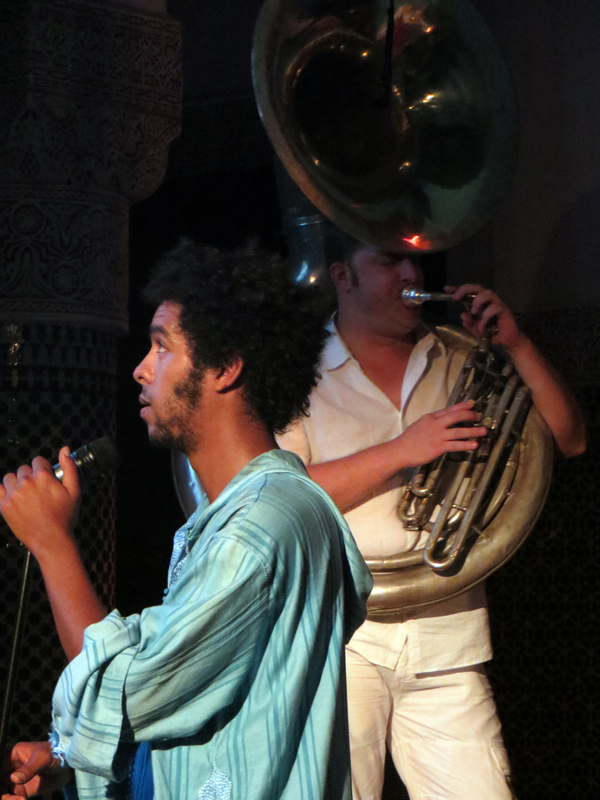 It perfectly combines Moroccan heritage Sufi with other musical genres such as baroque music and jazz. Karima El Maloumi is a young singer who is inspired by the Arab-Andalusian music and Berber. 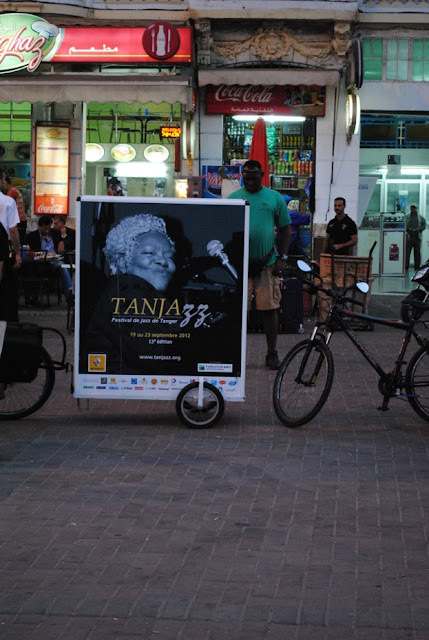 She began singing at the age of six and joined the Conservatory Agadir at the age of twelve years. Internationally renowned virtuoso darbuka Houcin Baquir renewed the genre and rhythm of the percussion instrument. On the French side, Thierry Rocques comes from a family "Accordion and Music". His father instilled in him the rudiments of music theory, the accordion lessons soon become moments. He won several prizes (First Prize at the International Competition of Toulouse in 1977, First Prize in Excellence UNAF national finals in 1979). In 1980, he turned to the French variety and began a career in coaching various stars of French song. 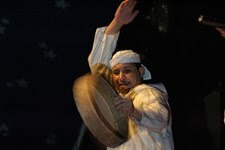 MAZIJ est présent dans le cadre de la Saison Culturelle France-Maroc 2012. Le groupe MAZIJ qui signifie « mélange » en arabe classique est composé de quatre grands interprètes marocains : Driss El Maloumi, Saïd El Maloumi, Karima El Maloumi et Houcine Baquir et d’un musicien français, Thierry Roques. Ils sont invités à une création commune : une rencontre entre l’oud, les percussions et l’accordéon. Véritables virtuoses de la musique, ils s’attachent à donner au patrimoine des musiques traditionnelles du Maroc des sonorités métissées. Côté marocain, Driss El Maloumi, véritable virtuose, est considéré comme l'un des meilleurs joueurs de oud de sa génération. Sa culture musicale et littéraire, alliée à une rare maîtrise instrumentale, lui permet d'aborder différents styles musicaux. Il marie à la perfection le patrimoine marocain soufi avec d’autres genres musicaux comme la musique baroque et le jazz. Karima El Maloumi, est une jeune chanteuse qui s’inspire de la musique arabo-andalouse et berbère. Elle a commencé à chanter dès l’âge de six ans et a intégré le conservatoire d’Agadir à l’âge de douze ans. De renommée internationale et virtuose de la darbouka, Houcin Baquir a renouvelé le genre et la rythmique de cet instrument de percussion. Côté français, Thierry Rocques est issu d'une famille " Accordéon et Musique". Son père lui inculque les premiers rudiments du solfège, les cours d'accordéon deviennent très vite des moments privilégiés. 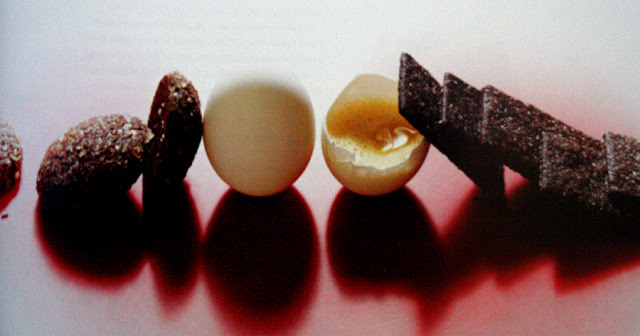 Il obtient plusieurs prix (Premier prix au Concours international de Toulouse en 1977, Premier prix Excellence U.N.A.F lors des finales nationales en 1979). Dès 1980, il se tourne vers la variété française et débute une carrière dans l'accompagnement de différentes vedettes de la chanson française. Driss El Maloumi, à l’initiative de cette rencontre, résume ce projet par la devise « prendre l’oud et aller vers l’autre ». Cette création est une présentation exceptionnelle où l'esthétique sonore transporte le public à travers le temps et lui fait redécouvrir une musique traditionnelle aux multiples apparences, riche en modes mélodiques, se forgeant une identité culturelle particulière au gré de chaque note. With clips of windy sand dunes draped from the video screen, the audience is lulled by elegant French poetic spoken verse, learning our hero's narrative. Within minutes, however, the vast empty space of the desert is replaced by writhing Brazilian carnival led, dixieland marching band tinged, Balkan wedding music. The sousaphone and surdo, a Brazilian bass drum used in the samba processions of Carnival, interject - and the evening refuses to settle down from that point on. As we move from French to Moroccan Arabic, the subject changes. No longer is this the sweet poetry of French, but the abrupt and energetic start to our story. 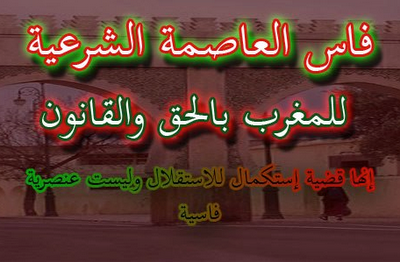 (The sweet poetry in Moroccan Arabic is there too, just a little bit later.) Dark harmonies between dark timbres of dark instruments float across grooves that coalesce between the funk beats of the drum set and the Arab dance rhythms of the darbouka. 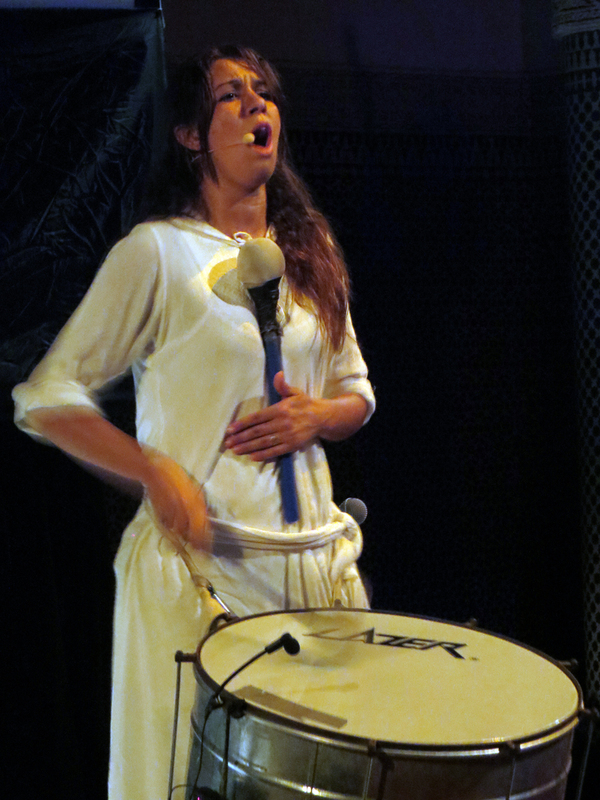 All this, of course, punctuated by that large Brazilian surdo. Two singers, Ghassan El-Hakim and Hajar Chargui, gave very different edges to Singhkeo Panya's musical compositions and arrangements. El-Hakim's performances on the harder tunes (and his slam poetry-style hip hop recitation) contrasted perfectly with Chargui's beautiful throaty alto sound. Her range in both pitch and timbre brought both the "oriental" wisp to some tunes while she effectively summoned the Cairene Golden Age sound of performers like Um Kulthum in many others. The real center of attention, however, was how Panya's arranging animated the film. The songs carried simple lines through a depth of colors, all while effectively narrating the spliced romp through old black and white video, telling a story that was far more interesting than the tale of our boy hero. At one point, for example, in a segment entitled "Intersections," music reminiscent of Mingus at his best animated visuals of confused road signs and overactive, white gloved, Moroccan police officers directing traffic. 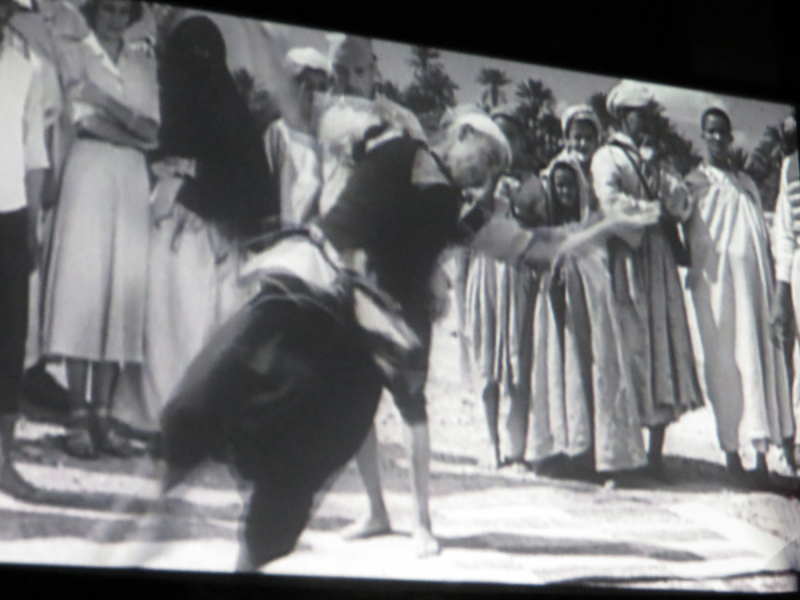 Elsewhere, a 3- to 4- second clip of an old man making sfinj (fried donuts) was spliced into a dance of sorts that consumed the better part of a minute (a long time, considering the aggressively manic nature of the editing). 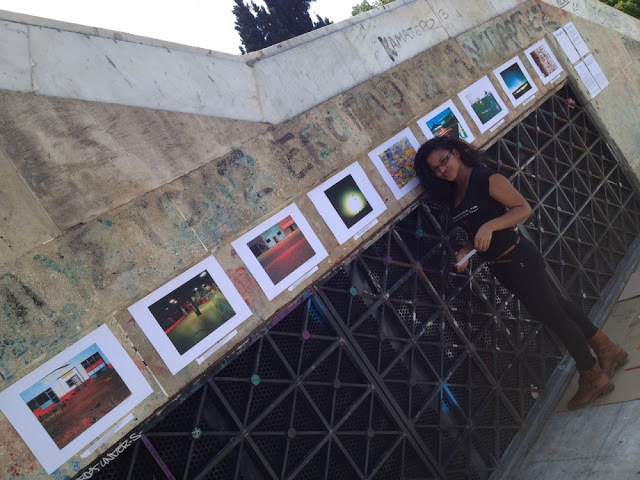 The project has been traveling across Morocco, with Fez as the penultimate stop. It will be in Tangier on Saturday (the 29th) at the French Institute. (Information) Those who are interested should be forewarned that there is no real interest in subtitles, but that ends up being mostly unimportant. There are a few bits of entertainment that come from the group's toying with language, however. 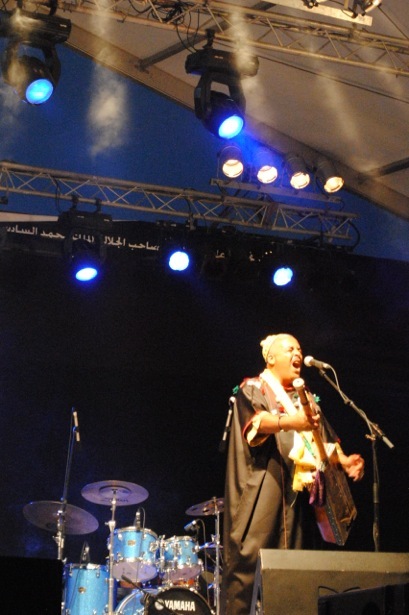 For example, after a conversation between two of the musician/actors that rags on rural Moroccan Arabic, a subsequent segment is entitled "Les Pecheurs" in French and "The Fish of the Sea Are Free," a phrase from the dialogue, in Moroccan Arabic. 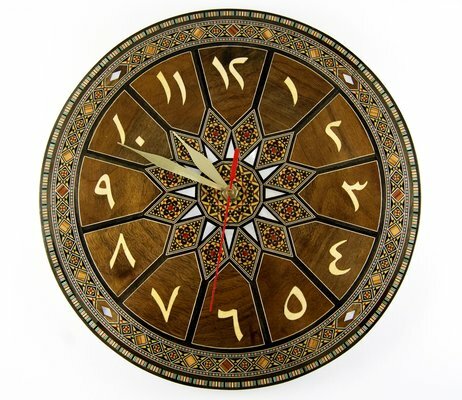 Playful turns of language and rhyme abound in all three languages. 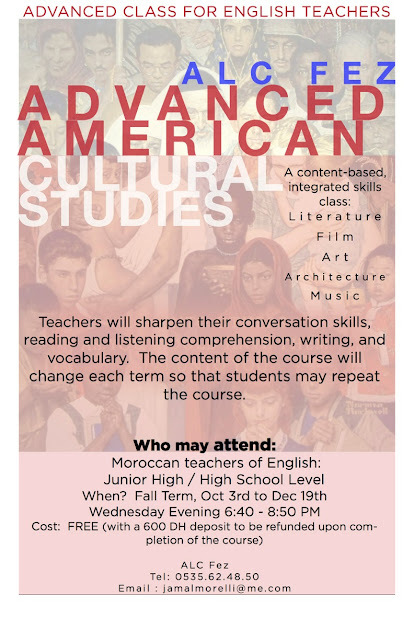 If you are a Moroccan teacher of English in a junior high or high school, here is a free course to help you with your language skills, while providing engaging lessons on American Culture. Run at the American Language Center on Wednesday nights, the popular course on Advanced American Cultural Studies will explore literature, film, art, music and architecture and give teachers a chance to practice and extend their English skills. As well as covering contemporary culture and some classic aspects of American culture in the fields of music, cinema, literature, art and architecture, the two hour course will be different each time, so students can repeat it. The teacher of the course, Jamal Morelli is well qualified, being a teacher of English at the ALC. He has also taught documentary film making at Sidi Mohamed Ben Abdellah University, and is a former professional musician. "I am going to start with with best-selling literature to look at the impact of America and the way we experience art," he says. 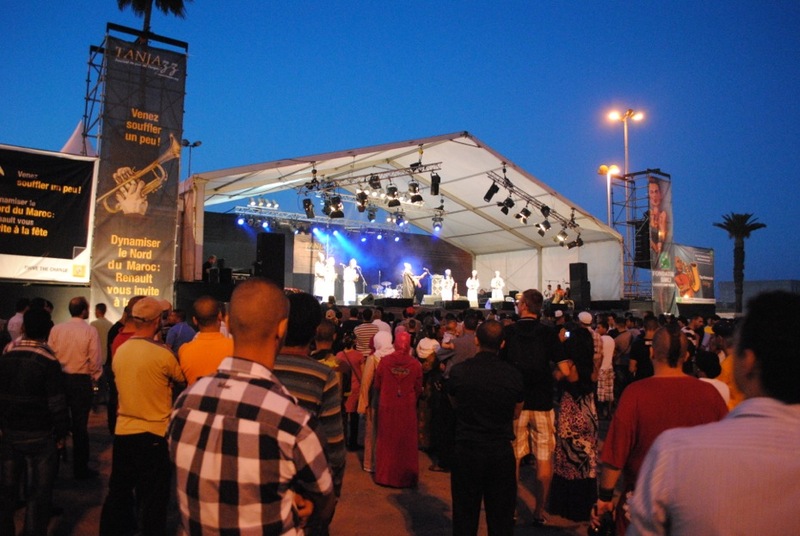 The 2012 TanJazz Festival is over - The View from Fez's resident musicologist Chris Witulski reports from Tangier. As we walked from the Tangier train station to the medina, along a beached lined with dance club advertisements and children playing in the sand, we crossed a group of men in ties holding dixieland brass band instruments. The sousaphone stood out as an anomaly in the Moroccan sun, and when I heard the banjo strummed, the electric guitar sound that came out of the attached speaker was startling. This was Friday afternoon at the Tangier Jazz Festival, TanJazz. Batunga and the Subprimes spent much of the time wandering the streets in old New Orleans style, but these Parisians kicked out some Afro-Cuban sounds that sat perfectly alongside the rest of the festival's entertainment. They deserve a listen. Keeping the focus on groove instead of esoteric harmonic exploration, Bebey Prince Bissongo and his ensemble took the stage. A native of Burkino Faso, Bissongo's set was tight and simple. The music, perhaps, could best be described as fun. His palm-muted guitar sound, the tasty trumpet, and the thick African hand drumming sat atop a tight and percussive organ and an infallible electric bass/drum set team to drive the energy from start to finish. These types of groups, charged to perform at the large public (read: free) outdoor venues, demonstrate just how widely the net of "jazz" can be cast. Nowhere to be found was the 1950s Manhattan sound, let alone the quartet-driven melodic explorations of the 60s and 70s. Gnawa music, lifted straight from the ritual and placed on a stage sat alongside some contemporary Afrobeat funk inspired by hot nights of dancing with a beer in hand to represent two distant (yet surprisingly complimentary) ends of a spectrum. The TanJazz festival had much more to offer, of course, with club-like intimacy in small venues for 200-300dh per night. But for the majority of people in Tangier during these evenings, the jazz that animated their evenings was diverse, accessible, and unbelievably... well... fun. 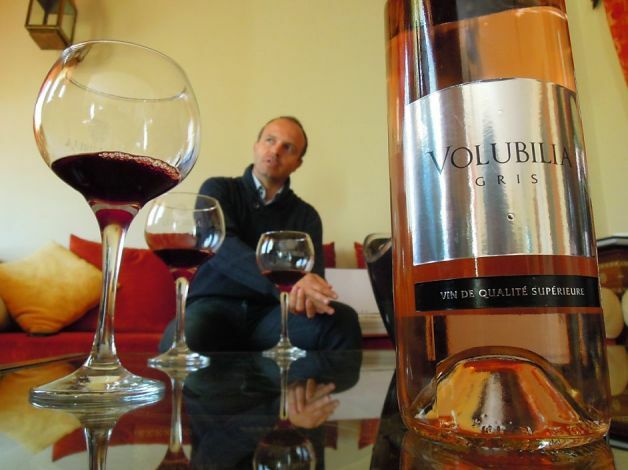 Writing for the San Francisco Chronicle, Christina Ammon goes exploring one of Morocco's lesser known delights - fine wine. After three sober months in Morocco, my liver was healthy - but my teeth were in trouble. The country's beverage of choice - a gunpowder tea jammed with mint - comes sans alcohol, but is spiked with a minimum of six sugar cubes. No sooner had I made peace with this Berber whiskey (as the locals call it), than a longtime expat told me about a winery just a 40-minute drive or train ride from my base in the Fez Medina. I was dubious. "They make wine," he assured me. "Good wine." Last week, Hespress reported on a Facebook group that's calling for Fes to be made Morocco's capital city in place of Rabat, the current capital. 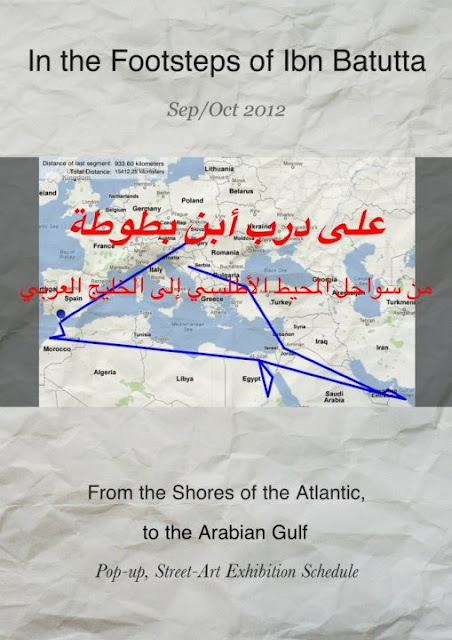 Matt Schumann, writing on the Armchair Arabist blog reports. Cover photo for the Facebook group "All for Returning Fes to its Status as Capital of Morocco". 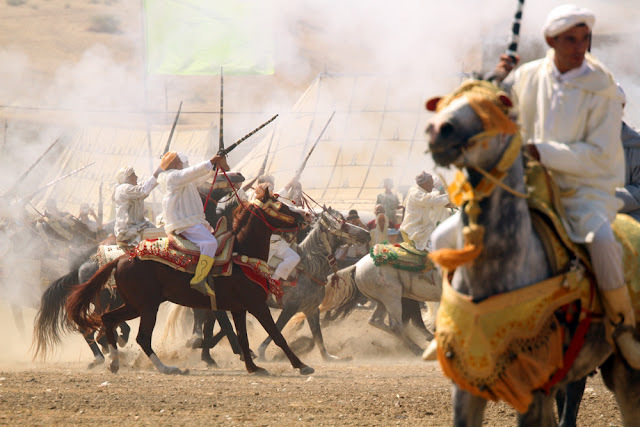 According to the Hespress article, the group wants Fes to be restored to the glory it enjoyed as Morocco's political, religious and cultural capital in the centuries leading up to the French Protectorate. As the article states, once the French took control of the country in 1912, they made Rabat their capital to, "distance themselves from the Nationalist Resistance's center and to remove the Sultan from the religious scholars at Al-Qarawiyine mosque." Rabat remained Morocco's capital after Independence in 1956. 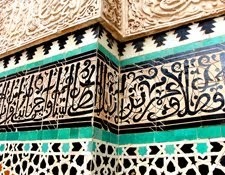 Want to Learn Moroccan Arabic in Fez? A new series of Darija classes are starting soon courtesy of the Arabic Language Institute Fes, (part of the American Language Center), at the beautiful ALIF riad near Batha. The level of the classes can be adjusted to suit the participants. They will be held on Mondays and Wednesdays from 6 to 7.30pm for five weeks. The cost of the course is 1,500 dh. Classes will commence when there is a minimum of three students. ALIF Riad, 6 Derb Drissi, Batha, Fez Medina. When I decided I wanted to run a desert writing journey in Morocco I was lucky to find the ideal place - an oasis retreat in the a tiny traditional Berber village, perched on the edge of one of the Sahara’s most extraordinary natural landforms, the 22 km long sand dune, Erg Chebbi. Established by Australian artist Karen Hadfield, Cafe Tissardmine is slowly becoming a hub for writers, painters, photographers, even scientists wishing to study desert flora and fauna. 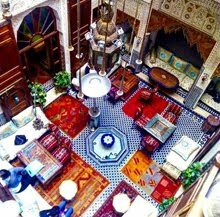 In January, our twelve day writer’s journey begins in Fez with a day and a night to explore the ancient city before we head out by four wheel drive to Tissardmine. 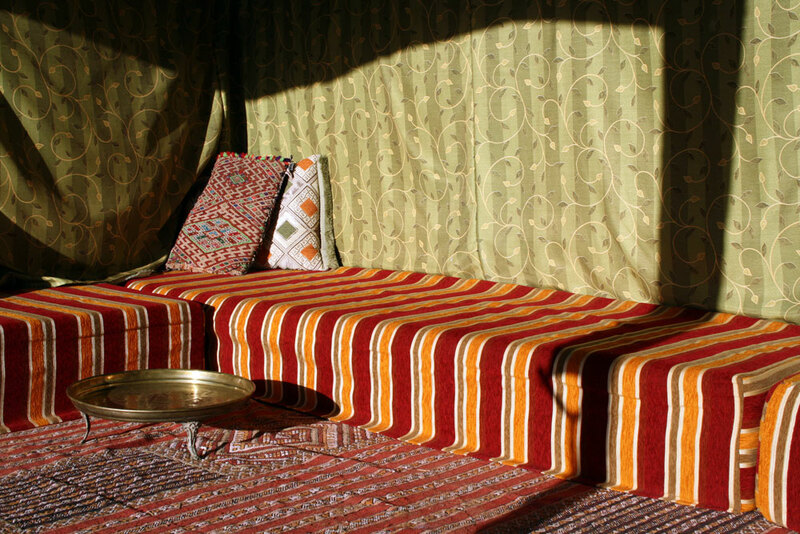 For our six day desert retreat we sleep in traditional Berber tents (complete with en-suite bathrooms) and attend daily workshops and readings in the comfortable artist’s salon. Taking our inspiration from the cosmology of the Moroccan star, we will explore the mystical significance of the eight cardinal directions and the areas of writing craft they relate to. Excursions into the desert from our base will employ the senses and elements to capture the unique desert experience and transform it into powerful writing. 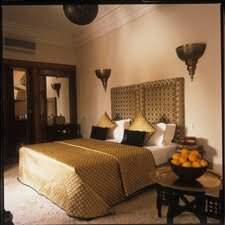 We will complete our journey with a breathtaking drive across the Atlas Mountains to Marrakech, where we will celebrate our writing achievements with a feast of Moroccan culture. Please join us if you would like to come. Writers of all genres and all levels of experience are welcome. Creative artists, photographers, performers - even if you have no idea what you might write you will be surprised what you are capable of. 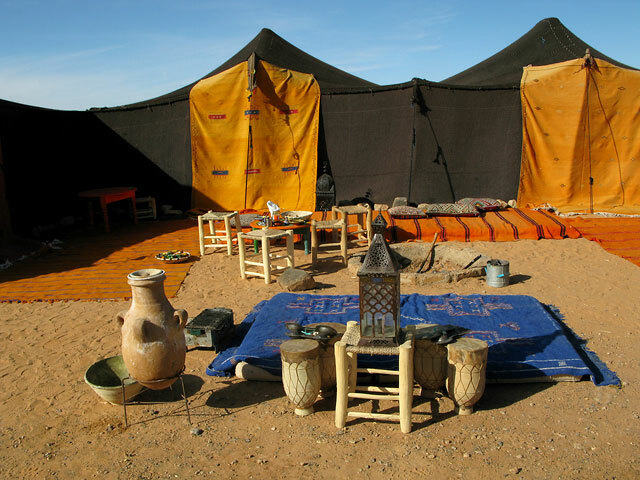 Writing The Journey - Morrocan Caravan, Jan 10 - 22, 2013. 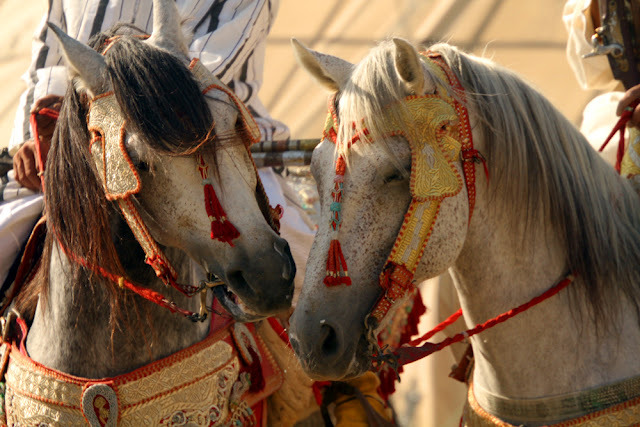 A reminder that the Tissa Horse Festival 2012 edition begins on the 19th and runs through until September 23. Below is all the information you need in order to make the trip - It is a fantastic day out, so don't miss it! The easiest way to get to Tissa on time for all the action is to catch the bus provided by Plan-it-Fez. The vehicle will depart each day (from the 19th to 23rd September) from Batha (outside Batha Poste) at 7am arriving Tissa at 8am. For the return journey the bus will be departing Tissa at 3.30pm for arrival in Fez approx 4.30pm. 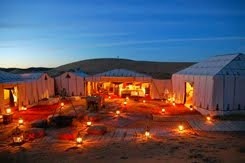 The price per person is 350 Dirham. Please note: this must be paid in cash. A minimum of five passengers are required for the bus to depart - so make sure you bring your friends! Most important: People MUST book 2 days in advance by emailing Plan-it-Fez. 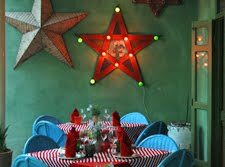 Paul Biehn has returned from France and taken over the management of the popular Fez Cafe at Jardin des Biehn in the Fez Medina. As he told The View from Fez's Suzanna Clarke, he is very happy to be back. 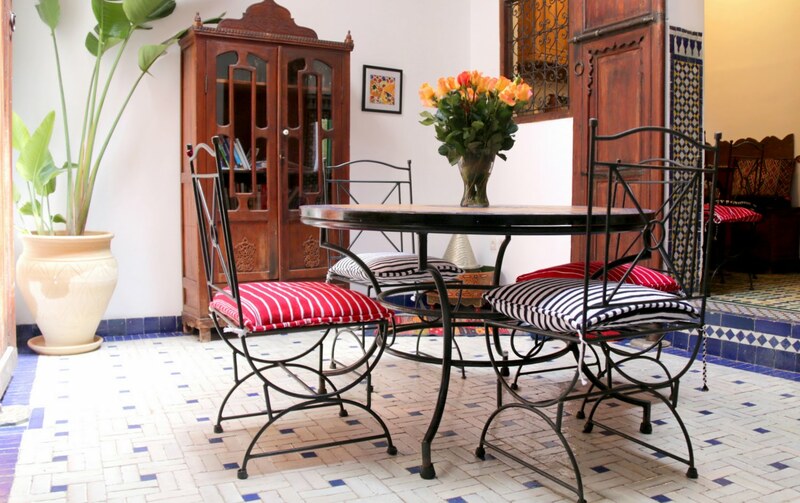 When he first arrived five years ago, the ancient Medina of Fez made a big impression on Paul Biehn. "Oh my god, it's wonderful!" 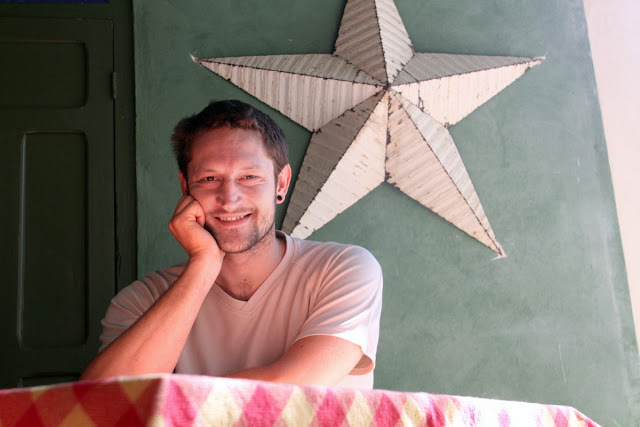 Now Biehn, 30, has returned from a year living in Paris to take over the management of the renowned Fez Cafe at Jardin des Biehn. And he has plans for the place - including a free tapas night on September 22. 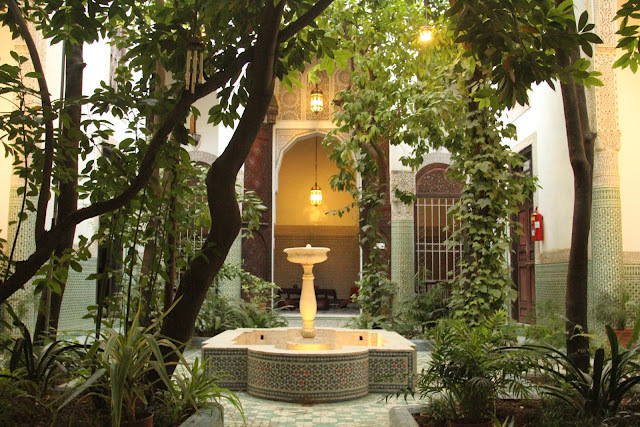 Fez Cafe can be found at the end of a magnificent Islamic-style garden - part of the complex which is also a pretty and colourful boutique hotel. It is owned by Paul's parents, interior designer Michel Biehn and his wife Catherine, who runs a sophrology consultancy from the premises. Paul helped to supervise the purchase and renovation and set up the restaurant. "We have 48 seats outside and 20 seats inside. A big improvement is that in the spring we are going to open the terrace upstairs. We are not changing the menu or the prices - it will still change from meal to meal and be based on seasonal produce." Reliable internet will be another improvement, and Paul is planning to improve the bar offerings, with "mocktails" - non-alcoholic cocktails - on the menu, and is upgrading the beverage list, "so people can enjoy a nice drink in a lovely garden". Biehn says he wants the style of the restaurant to be "eclectic and changeable", so regular patrons and visitors will not know exactly what to expect. 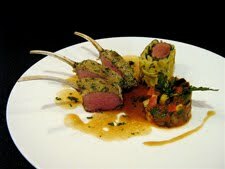 To achieve this, Paul is working closely with chef Hicham Moufid, who has been with Fez Cafe for more than a year. "He used to work in Rabat for many years at La Mandarin," he says. 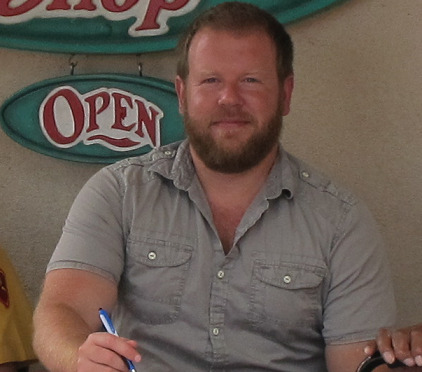 Born in Aix-en-Provence, Paul grew up in the mountainous Luberon region of France. He left home at 16 and went on the road with a group of friends, "looking for the illusion of freedom", he says. He was involved in running rave parties all over Europe, but at the age of 25 decided the life-style was taking too great a toll on his health. "So I stopped everything, and went to Afghanistan in 2006 for a year, to run a restaurant in Kabul for a friend of mine." Now the Fez Cafe is well established, Paul is planning to offer regular events. 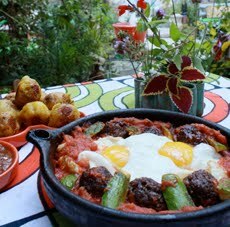 The first of these will be the tapas night on September 22. "The tapas will be free, and people will just pay for their drinks," he says. "We are hoping for a lot of people to share a nice moment in a beautiful place." Tangier, Fez and Casablanca are on the schedule of an enterprising (and surprising) couple of artists from very different backgrounds. The duo, Swales & Sinclair, are expected to pop-up in Fez on the19th and 20th of this month after a visit to Tangier. Their travelling show is called In the Footsteps of Ibn Batutta. 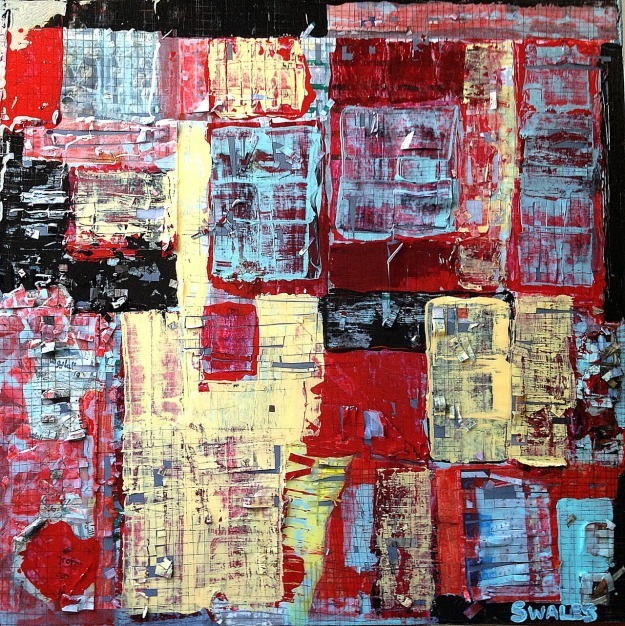 Founded in Manila in 2008, Swales & Sinclair is an ongoing artistic collaboration between mixed- media, visual artist David Swales and mixed-media artist, singer/songwriter/poet (and former Philippine child music-star) Chanel Sinclair. They have exhibited in New York City, Manila, Athens, Hurghada and Al 'Uqsur and are about to embark on a schedule of spontaneous, pop-up, neighbourhood exhibitions in Eastern Europe and the Islamic world – exchanging wabi-sabi images between contrasting global, urban contexts and audiences. 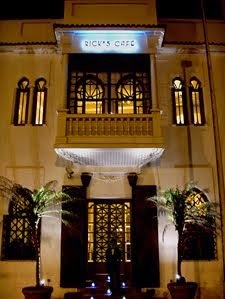 If and when we discover where in Fez they will pop-up, we'll let you know. Limited edition prints will be for sale. Keep an eye out for Swale & Sinclair and show them your support because proceeds from the show will be donated to a local charity, either the local women's shelter or the abandoned girls' home. David Swales was born in West Belfast, where the war- damaged cityscape, vivid political murals and extreme societal traumas left an indelible, primary influence. During a largely diasporic life he has since lived and worked in Europe, Asia, Africa and the U.S. David previously worked at Central St. Martins College of Art under renowned photographer/film-maker Malcolm LeGrice, He also worked in the gem-trade, until an unfortunate robbery at Heathrow Airport compelled him to seek employment in the financial world (in Seoul, London, New York City and Manila). Throughout this period he also had several successful exhibitions, finally leaving the financial world in early 2012 to focus solely on his art. Chanel Sinclair was born in San Diego, California. Growing up in a multi-lingual, trans-pacific family, Chanel experienced the popular culture of the West Coast while living for large periods in a contrasting rural province of the Philippines. Writing poetry and music in several languages, Chanel has been profoundly influenced by the rich folklore and visual artistic heritage of the Philippines, but also its vast economic disparities. 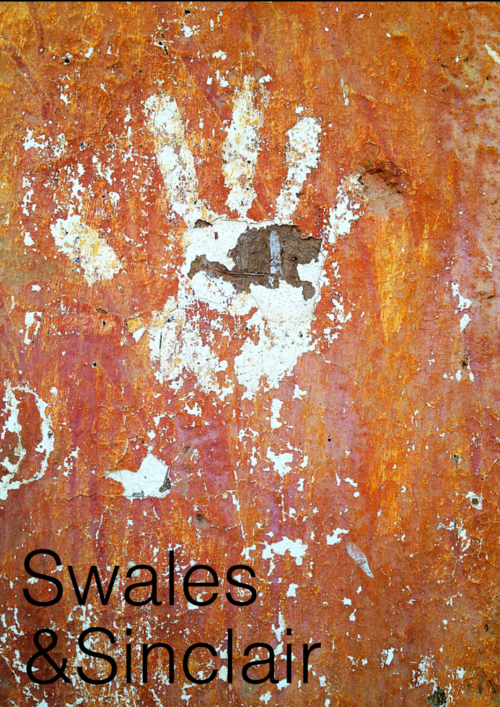 This manifests itself within the work of Swales & Sinclair, especially with written word (woven into the mixed media pieces that the artists construct) and her passion for revealing the hidden beauty of wabi-sabi captured in often poverty-stricken environments of developing-world, urban contexts. Chanel is also exploring the use of the native (but now extinct in terms of common-usage) Philippine script of Alibata within their work. In a time of great political change and increased societal/cultural polarisation, our humble and personal mission as artists is to commit our own resources to help increase global dialogue and understanding. On a person-by-person basis we hope to achieve this through several art projects where we document wabi-sabi images in contrasting urban environments and transplant or "exchange" them through spontaneous, neighbourhood exhibitions in differing parts of the world. We especially seek out “typical” neighbourhoods where people may not normally have interaction with the commercial art world or foreign artists. The limited edition prints of our work that we exhibit during these neighbourhood shows are donated to the respective audiences. On Tuesday, the US ambassador to Tripoli, Chris Stevens, and three other Americans were killed in the Libyan city of Benghazi when an armed mob stormed the consulate, torching the building after looting it. 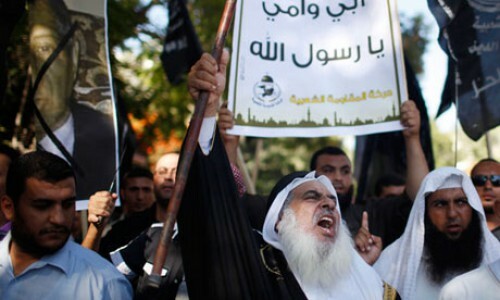 The protests were sparked by the American-made amateur video called "Innocence of Muslims." 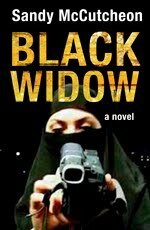 The low-budget movie, in which actors have strong American accents, portrays Muslims as immoral and gratuitously violent. It also pokes fun at the Prophet Mohammed and touches on themes of paedophilia and homosexuality. According to the Wall Street Journal the film was produced by Israeli-American Sam Bacile who describes Islam as a cancer. Morocco has described as "shameful aggression" the attack on the US consulate in the Libyan city of Benghazi, and presented its "sincere condolences" to the US government and people, while denouncing the film that prompted the attack. The Moroccan government stressed that the attack "cannot, in any case, be justified," in a statement carried by the official MAP news agency. In Casablanca on Wednesday hundreds of people protested outside the US consulate. The protesters, numbering between 300 and 400 mostly young activists, gathered around 200 metres from the consulate amid a heavy police presence. Some shouted anti-US slogans, including "Death to Obama! ", but without resorting to violence. 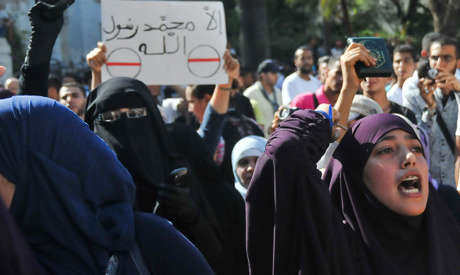 The Casablanca protest appeared to have been called spontaneously, via social media networks, and without the involvement of any particular organisation. The two-hour movie that sparked the protests first came to attention in Egypt after its trailer was dubbed into Arabic and posted on YouTube. The reaction in the social media has been swift and angry, with one Moroccan woman's Facebook comment about the film's makers "I will enjoy seeing them all burn in hell, inshallah" being typical of many responses. Unfortunately, in the United States, the film is being promoted by an extreme anti-Muslim Christian pastor Terry Jones. On Wednesday, a MSNBC panel debated whether Jones should be held responsible for the deaths resulting from the protests. Others on the left have presented similar arguments, saying the film is to blame for the attacks, seemingly deflecting blame from the radical Islamists who carried out the acts of violence. US Secretary of State Hillary Clinton has called a US-produced anti-Islam film that has angered Muslim communities in North Africa "disgusting" but said it cannot be used as a justification for the kind of violence seen at the US embassy in Libya. The director of a film that sparked protests says he is "upset" at the death of the US ambassador to Libya and has gone into hiding, a consultant on the project said on Wednesday. "He's very upset that the ambassador got murdered," Steve Klein told AFP, adding that he had spoken to filmmaker Sam Bacile by phone earlier in the day, but did not know his location. When Bacile - not his real name - was told about the death of US ambassador to Libya Chris Stevens, "he melted, he fell apart," added Klein, who said he was one of some 15 people behind the film, "Innocence of Muslims." He added that the reported Israeli-American director could suffer the same fate as Dutch filmmaker Theo Van Gogh, who was assassinated in 2004 after triggering protests with an anti-Muslim film. Asked if Bacile could be killed, he said: "If he goes public I'm sure he will." In Cairo, several thousand people stormed the US embassy in a similar protest against the film. 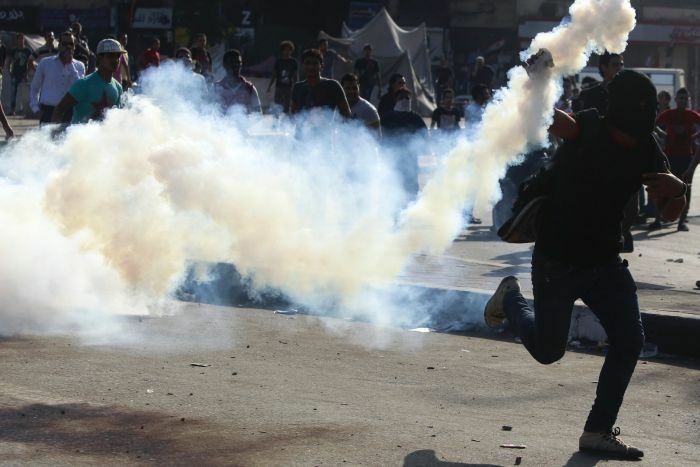 On Thursday Egyptian police used tear gas as they clashed with the stone-throwing crowd after 13 people were injured in overnight unrest, according to the health ministry. 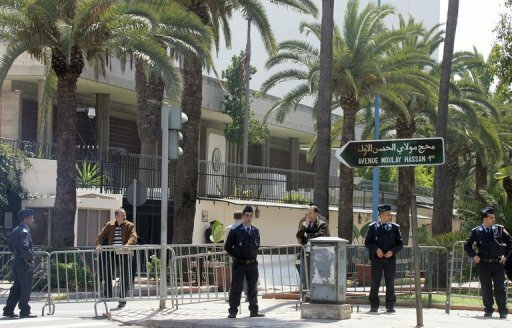 Algeria's foreign ministry, meanwhile, condemned the low-budget movie, "Innocence of Muslims," The Algerian Foreign Minister, Mourad Medelci, offered his condolences to his US counterpart Hilary Clinton, after the deadly attack. Ministry spokesman Amar Belani meanwhile deplored "the irresponsibility of the authors of the film... which offends Islam and his prophet". 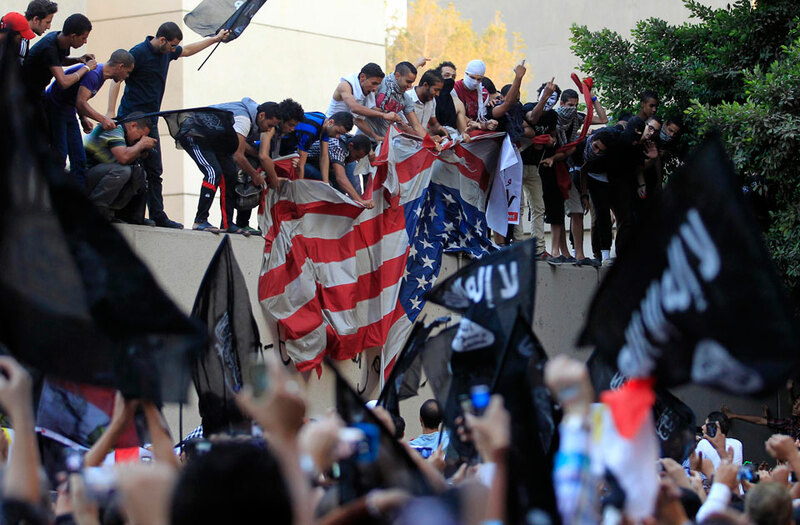 Further, U.S. embassies in at least seven countries in the Middle East, including Sudan, Tunisia and Morocco, Africa and the Caucuses are warning of possible anti-American protests. The embassies in Armenia, Burundi, Kuwait, Sudan, Tunisia and Zambia, along with the embassy in Egypt, which was hit by a protest on Tuesday, all issued warnings on Wednesday advising Americans to be particularly vigilant. The warnings, posted on the embassies’ websites, do not report any specific threat to Americans but note that demonstrations can become violent. Protests have also broken out in Kuwait, Tunisia, Yemen, Gaza and Sudan. Yemeni police shot dead a protester and wounded five others when they opened fire on a crowd attempting to storm the United States embassy in Sana'a to protest the film. The shooting in Sana'a came as protesters, chanting "O, messenger of Allah... O, Mohammed" launched a second charge on the complex which they had stormed earlier, but were ejected by the security forces. Yemen president Abdrabuh Mansur Hadi apologised to his US counterpart Barack Obama and the American people for the acts of a "mob" and ordered a probe. In Iran, up to 500 people protested in Tehran, chanting "Death to America!" and death to the movie's director. The rally took place near the Swiss embassy, which handles US interests in the absence of US-Iran diplomatic ties. Fearing a violent backlash, Afghan president Hamid Karzai has postponed a planned visit to Norway. The US has sent a detachment of 50 marines to secure the American embassy in the Libyan capital Tripoli, where staff numbers were being cut to emergency levels. Washington also began evacuating all its staff from its mission in Benghazi while at the same time sending two destroyers to "the vicinity of Libya" as a precautionary measure, a senior US official said. Four hundred dancers from more than ten countries will be converging on Meknes to take part in the 9th annual dance festival to be held at various locations around the city. 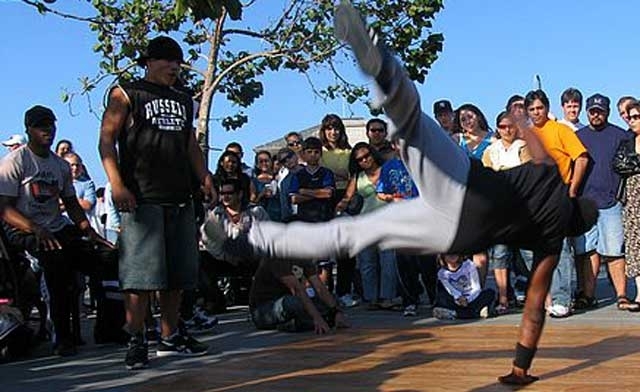 The International Hip Hop and Breakdance Festival takes place from September 17 through until the 23rd. 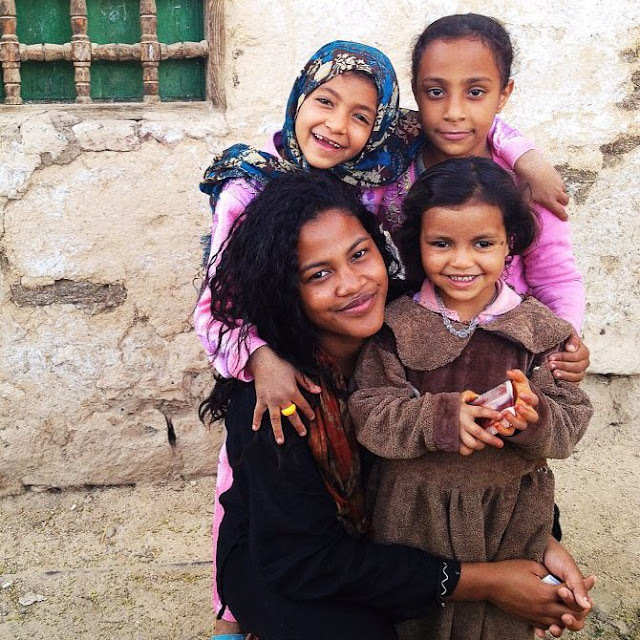 Once again the festival has been organised by the Moroccan "Hope Youth Association". According to the organisers, "this event is truly a developer of talent and a springboard to the international scene for the winners and also for the world of work and show business". The more than 400 artists will participate in "dance-offs" in different categories of dance to move to the final and maybe winning the first prize and the chance to represent Morocco in one of the international competitions abroad. The competition focuses on four categories: dance, graffiti, rap and freestyle. In addition, a panel of international professionals act as judges to decide the best teams and dancers in each category. The Hope Youth Association aims to discover and mentor young Moroccan dancers. Its purpose is also the social and economic development of the performers including girls and boys aged between 12 and 25 years who come from disadvantaged backgrounds. The association focuses in particular on the implementation and promotion of artistic and cultural projects related to urban culture. 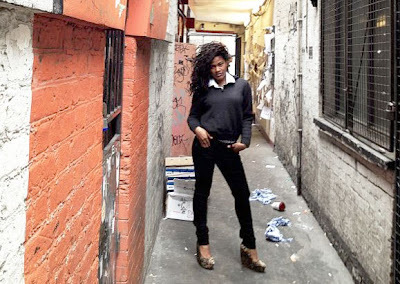 "Despite the growing number of practitioners and the real interest in hip hop, we find that the artistic and cultural practices associated with this culture, coming, as they do, from the street, are often informal. So we want to address this lack of structure because it hinders the identification of the performers involved and the value of their initiatives". At last we can confirm both dates and transportation details. The festival runs from the 19th of September to the 23rd. The main competition day is the 22nd of September. In addition, on both the 19th and the 23rd there will be souq (market) days in Tissa. The easiest way to get to Tissa on time for all the action is to catch the bus provided by Plan-it-Fez. The vehicle will depart each day (from the 19th to 23rdSeptember) from Batha (outside Batha Poste) at 7am arriving Tissa at 8am. 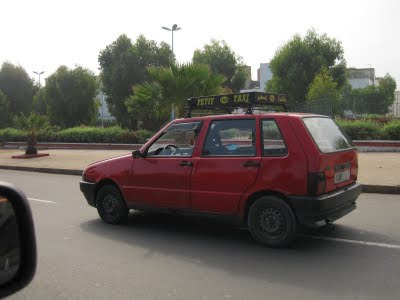 Abderrahim, a Fez taxi driver, was driving his fare, a first-time visitor to the city from the airport. Pointing to some foreigners on the sidewalk Abderrahim tells his passenger "They are Americans." "How can you tell?" asks the passenger. Pointing to his own stomach, the passenger asks, "Well, what about me?" Realizing he might be jeopardizing his chances of a tip, Abderrahim responded, "You are not fat, brother You are prosperous." 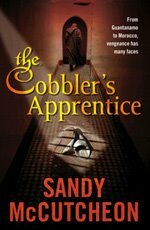 There are many books on Moroccan cuisine available and most contain what one might describe as "the usual suspects" - the same recipes trotted out time and again. So it is refreshing to find a book that takes a different approach. 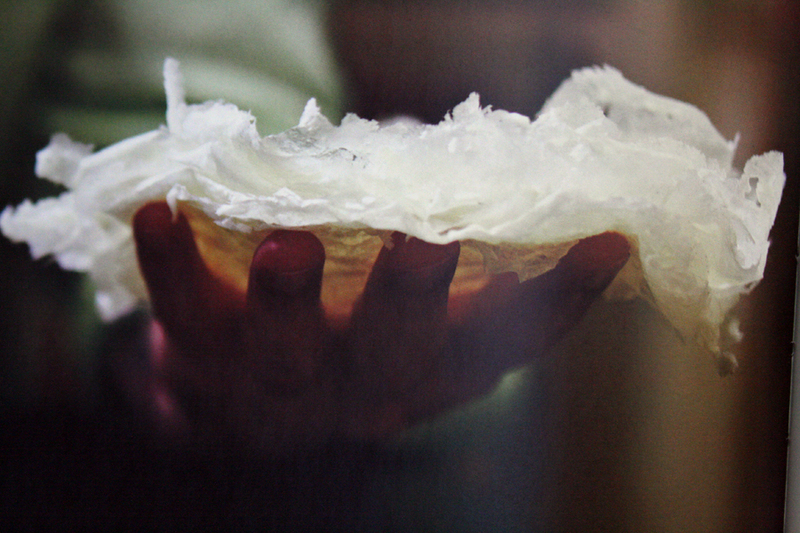 New Moroccan, by Mourad Lahlou is a tasty marriage of tradition and innovation. 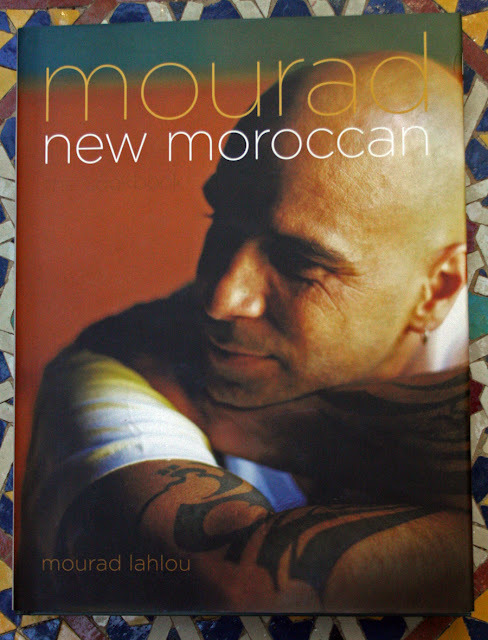 Mourad Lahlou's New Moroccan is really two books in one. It begins with seven cooking classes that will give you the fundamental building blocks of Moroccan cuisine and follows it up with a wonderful collection of recipes. Lahlou was born in Casablanca before moving to Marrakech. After moving to the United States he abandoned a degree in economics to open a restaurant. 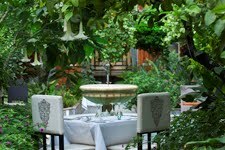 His Azizz restaurant in San Francisco is the only Moroccan restaurant in North America to be awarded a Michelin star. In the first section of the book, Lahlou pays attention to the basics, with a comprehensive look at spices, preserved lemons, couscous, warqa (paper-thin pastry), harrissa, charmoula and tagine cooking. 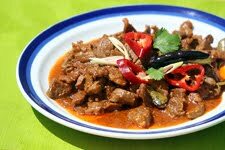 The chapter on spices also contains a selection of spice mixes such as ras el hanout, his own restaurants curry blend as well as Ethiopian Berbere. If you have never attempted to make your own preserved lemons, Lahlou's easy to follow instructions will have you set to become an expert. When it comes to couscous, Lahlou will convince you never to buy the quick-cook packets ever again. Sure, hand-rolling couscous takes a little time, but the end result is worth every minute of it. The recipe chapters are crammed with mouth-watering temptations such as a Berbere-cured chicken liver mousse garnished with pickled green strawberries or a delicious combination of braised artichokes, cipollini onions in cumin broth. 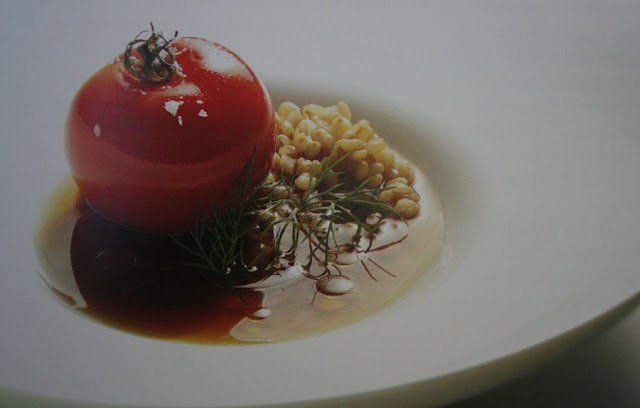 Some of the gems, such as chicken bouillon with wheat berries and salt-baked tomato are quick and easy, while others such as basteeya are more complex, but certainly worth the effort. The modern version using phyllo with rainbow chard and edible flowers is superb. For dessert lovers, New Moroccan offers some fabulous recipes such as a lavender-almond roulade, a chocolate-star anise cremeux, chocolate gingersnaps and the outrageously delicious curry ice cream. 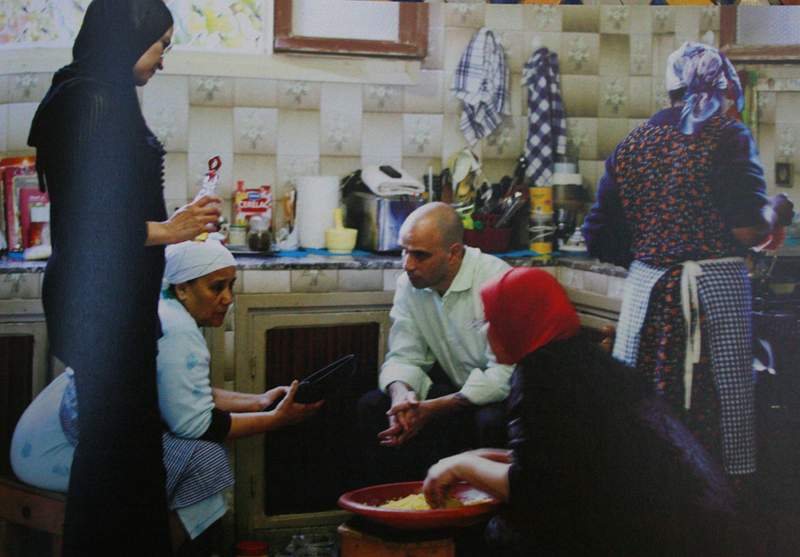 New Moroccan by Mourad Lahlou (with Suzie Heller, Steve Siegelman and Amy Vogler) is published by Artisan. The sumptuous photographs in the book are by Deborah Jones. 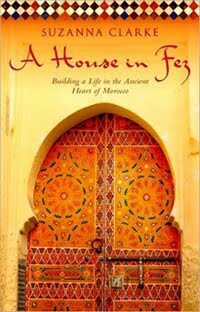 New Moroccan is available in Morocco from the bookshop at the American Language Center in Fez. It can also be purchased online - click on image below.